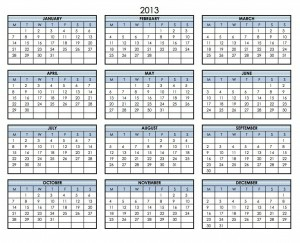 A printable calendar is an excellent tool for many applications. People can use a printable calendar for a lot of things and many people simply do not realize the overall usefulness that a calendar offers. A free printable calendar offers an excellent tool for scheduling appointments and ensuring that they are kept, remembering important events such as birthdays, making sure that meetings are remembered and kept, and writing down goals for certain days, months and years. Free printable calendars can have many benefits for everyone who uses them regardless of the reasons. Here are some of the many benefits offered by a free calendar. Free printable calendars are very and simple to use. All a person has to do is select the calendar that want and ensure that it has all of the features that they are looking for. Once they have selected the particular calendar to be printed that they would like use, all the person has to do is print the calendar and begin to use it. An easy to use calendar is an excellent tool for scheduling and keeping track of very important dates. A printable calendar can be hung up anywhere once it is printed and it offers a great way to keep track of any task, meeting, event or date that a person wants to keep track of. A key benefit of a calendar is that it offers the ability to keep things organized by date. Whether it’s a list of goals, certain tasks or anything else that a person would like to organize, a free printable calendar gives people a great way to organize everything easily. By being able to hang the calendar anywhere they would like, they can focus on their organization whenever and wherever they would like.